Governor Cuomo announced that NYS will participate in the national “Drive Sober or get Pulled Over” enforcement campaign to crackdown on impaired driving this holiday season. Additional troopers deployed this Friday to crackdown on impaired driving and keep New York roadways safe. Albany, NY - December 15, 2016 - Governor Andrew M. Cuomo today announced that New York State will participate in the national “Drive Sober or get Pulled Over” enforcement campaign to crackdown on impaired driving this holiday season. 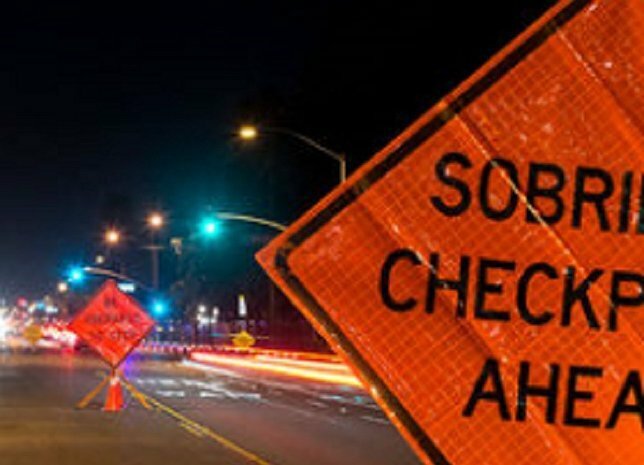 Drivers can expect sobriety checkpoints and an increased number of Troopers patrolling New York roadways. State Police will enforce the national campaign Friday, December 16, 2016 through Sunday, January 1, 2017. During the crackdown campaign, Troopers will be watching for distracted drivers, vehicle occupants who are not properly buckled up, and drivers violating the “Move Over Law,” which requires motorists to exercise extreme caution when passing emergency vehicles that are stopped in or on the side of the road. In addition to State Police, local law enforcement agencies will also be participating in this national crackdown. Troopers will be using both marked State Police vehicles and Concealed Identity Traffic Enforcement vehicles. The CITE vehicles allow Troopers to more easily identify motorists who are using handheld devices while driving. These vehicles blend in with every day traffic, but are unmistakable as emergency vehicles once the emergency lighting is activated. During last year’s crackdown, State Police issued more than 32,000 tickets, including more than 11,000 for speeding, 810 for distracted driving and 348 for the “Move Over Law.” There were also 477 people arrested for DWI and six people killed in crashes. In addition, 33 counties and 115 local law enforcement agencies participated in the Holiday Season Crackdown last year, resulting in 134 DWI/DWAI arrests, 11 DWAI-Drug only arrests, 99 other arrests and 1,570 vehicle and traffic summonses. In addition, the Governor’s Traffic Safety Committee and the New York State STOP-DWI Foundation collaborated on the “Have a Plan” mobile app, which is available for Apple, Droid and Windows smartphones. The app enables New Yorkers to locate and call a taxi service and program a designated driver list. It also provides information on DWI laws and penalties, and a way to even report a suspected impaired driver. For more information on traffic safety enforcement in New York State, please visit www.safeny.ny.gov. Governor Cuomo Announces New York State Police Doubles the National Average for AED "Saves"
Subject: LongIsland.com - Your Name sent you Article details of "Governor Cuomo Announces New York to Participate in National "Drive Sober or Get Pulled Over" Campaign this Holiday Season"